I just love games that require to be lucky and smart simultaneously. 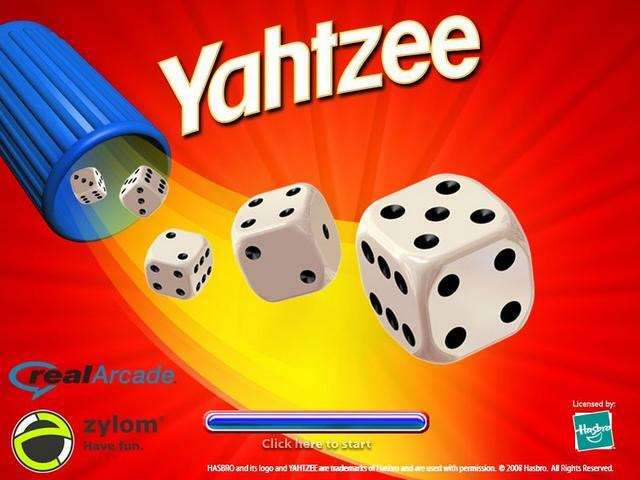 Yahtzee is one of that games.But as any game this one is fun and addictive only if it is played in a large group of 5 or more persons. The game is played with 5 dices in 13 rounds. The scope of the game is to achieve the best score between the participants.Each round consist of rolling the dices up till 3 times until you found out a category which will preserve the highest score. Remember that you have only 13 rounds , so in each round you have to score a category.There’s lots of strategies concerning this game and none of those strategies work every time. So here you might say that intervenes chance.As long as you’re lucky you should be fine. But keep in mind that according to statistics the probabilities for obtaining categories from 7 to 13 are decreasing from one category to another. I will keep 2 2 2 separately and roll only the 1 6 dices. At this point i will put along the dice 2 and roll only 3. Conclusion: i completed the category 4 of a kind.Once a category is completed , i’m done with that category.You calculate the points for that category and it’s done! You do this for 13 rounds .Who has the best score wins!Good luck! Here you can train on Yahtzee! And here you can assemble a team with your friends and start playing online! Posted in	How-to. Tagged with	games, online-games, team games.